How do we emotionally connect with customers and create brand loyalty? We helped Herbalife look at fundamental factors shaping its marketplace around the world, such as factors influencing millennial and other demographics’ purchasing decisions. We looked at other brands that were responding to these trends successfully, and we conducted an online study in 11 global markets that evaluated consumer-purchasing decisions. We looked at the rights and privileges that brands have with consumers, and we zeroed in on what Herbalife consumers wanted from its brand. We helped Herbalife shift from being a member-focused business to become a consumer-focused brand that emotionally engaged its customers. We successfully built simplicity, transparency and personalization into Herbalife’s customer-facing language and materials and created a new emotional loyalty for consumers to Herbalife. Today, uniform global adoption of Herbalife corporate branded materials are at an all time high across all of its regions, which are reporting increased sales. 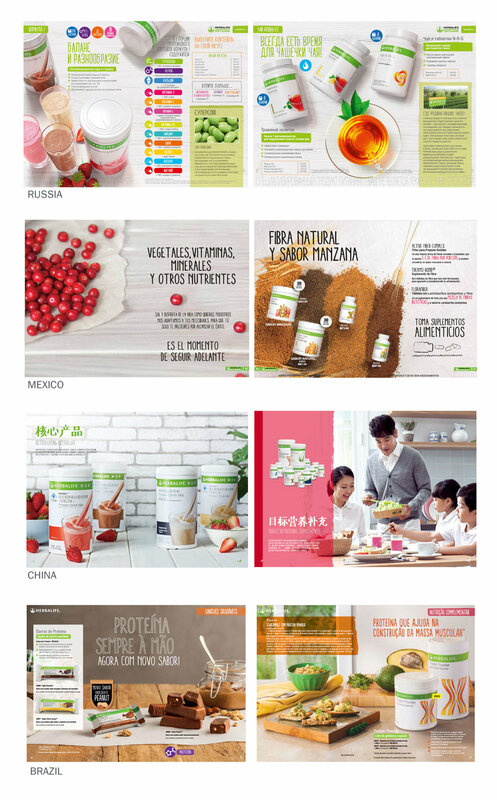 All global regions and distributors for Herbalife tout its new brand positioning as the best they have ever had to explain their value proposition in a consistent and compelling way. We created a new consumer-facing brand for Herbalife that emotionally engaged its customers, engendered brand loyalty and led to an all-time high global regional adoption of corporate branded materials. In order to transform the Herbalife brand we needed to acknowledge where we were and where we were headed. We saw consumer trends lead to key macro trend of wellness. In 2015, Herbalife fielded an online study in 11 markets globally including USA, Mexico, Brazil, Spain, Italy, the UK, India, Indonesia, and China. Results from this study demonstrate that transparency is a global trend for Herbalife users and non-users. On average 70% + of respondents cited “Information on where ingredients are sourced” and “How the quality of ingredients are ensured” as the top 2 box score of what’s important to them in a nutrition brand. The same study in 2015 found personalization to matter to Herbalife users and the general population. Across all regions 50%+ of respondents said that personalized support and follow up was important to them. When Herbalife users and general consumers were asked in Herbalife’s 2015 global study what their motivators were for seeking good nutrition ‘back-to-basics’ was a driving motivator.